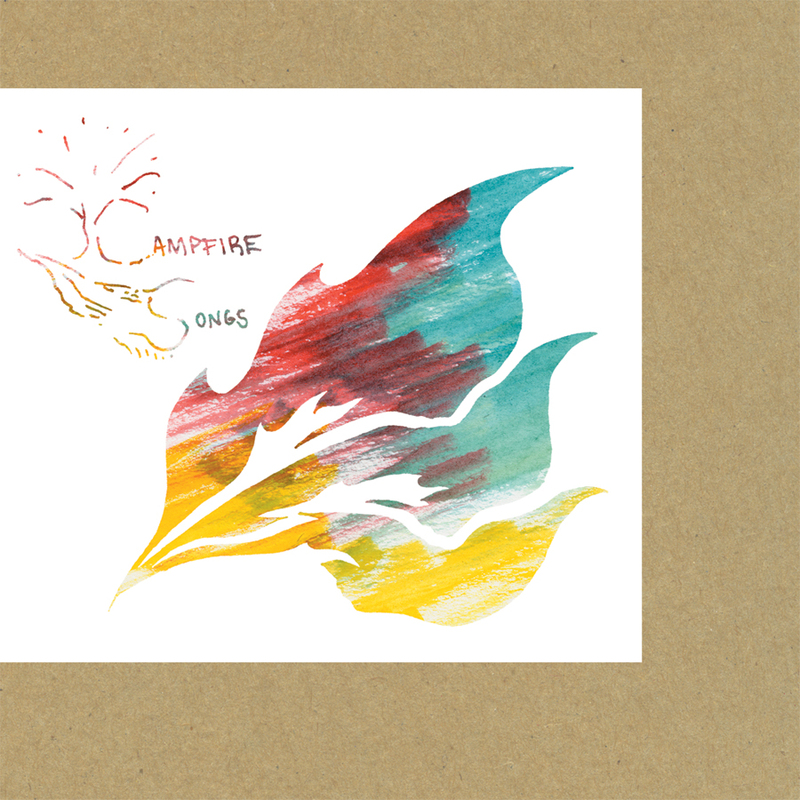 Paw Tracks is proud to present the reissue of Animal Collective's 2003 album Campfire Songs. Since the CD's original issue on Catsup Plate recently went out of print it is our intention to simply keep the cd in print for as long as possible. An idea originally thought up by Dave Portner and Noah Lennox while in college, Campfire Songs is not a record of songs sung around a campfire but a record that hints at songs emerging from the fire itself: "We wanted to give the music the feeling and atmosphere of the outdoors and the warmth of a fire, so people could bring it indoors." A collection of five songs written over a period of four to five years, Campfire Songs is an escape from the clutter and electronic assault of the group's 2001 release Danse Manatee and the tour that preceded it. However, the tapestry quality of the songs and the lines that blur endings from beginnings and jams from compositions highlight a style that the boys had become comfortable with from touring and would continue to work on in the years that followed on records like Here Comes The Indian and Feels. been a part of the AC sound-though here they have been stripped away of any electronic accompaniment and stretched and slowed to a calmer place than anywhere AC had been before and perhaps has gone since.